to Be Housed in the Grower Run Shelters. Making Organigrow eggs the best on the market involves a lot of never-ending hard but satisfying work. Before sunrise, the morning rounds allow us to check that all the hens are well, to clean the drinkers and look out for any sick chickens. They are separated from the others and nursed. 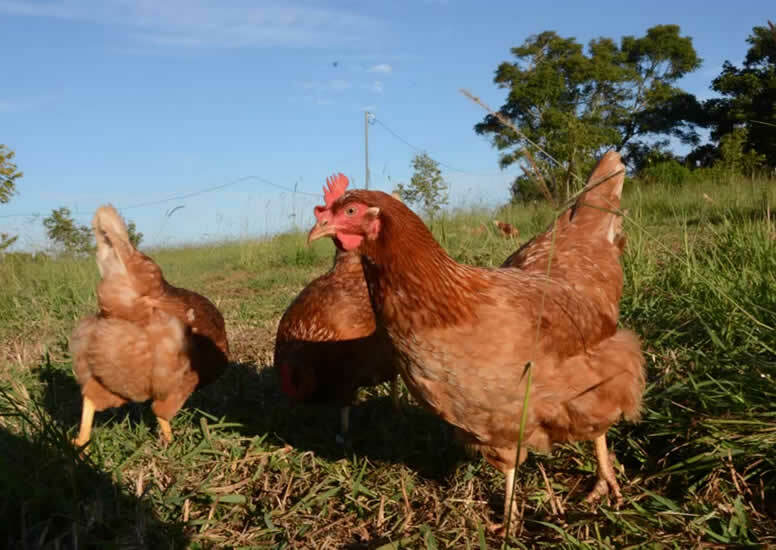 In their large enclosures, the hens are free to roam between the perching houses (where they sleep and nap), the nesting houses and the feeding lines where they can feed freely, during the day, on choice grain, dosed and mixed by Simon, the owner, and manager of the farm. 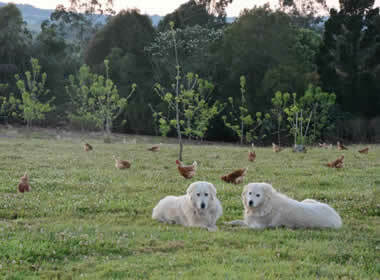 Later in the morning, around 10 am, the hens are let out to graze all day on the vast pastures, sheltered by the wide variety of fruit and nut trees Simon planted 20 years ago on the farm. 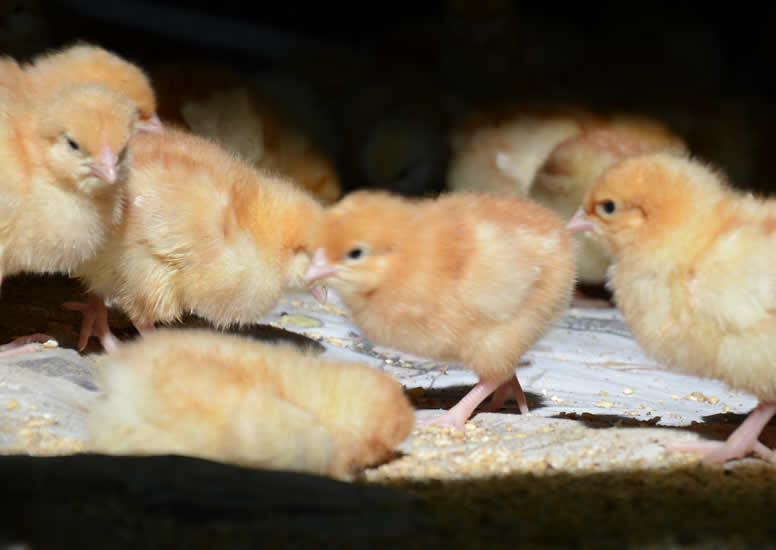 Work goes on for everyone; part of the small team collects the eggs in the nesting houses, while others pick up those laid in nests all over the farm. Another part of the teamwork in the packing shed where only the weighing and cleaning are automated. 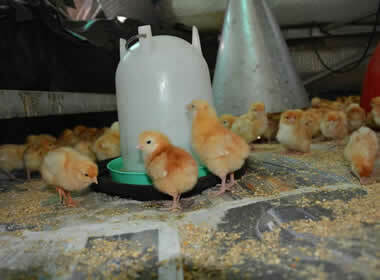 The egg candling and packing are handled by the team’s expert eyes and hands. In the evening, the feeders shut and, as the sun sets, the hens return from the pastures to the perching houses were they settle down. The second set of rounds start. This is to make sure all is still well and to close the chickens in for the night, thus protecting them from foxes and other predators. 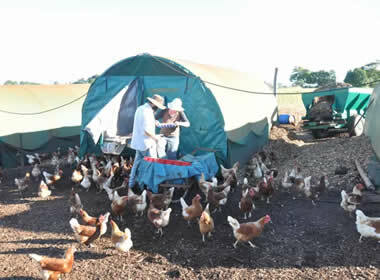 In summer, fighting the heat adds extra work to make sure the chickens manage to have enough shade and fresh water. The heavy rains in the region also complicate our work by making puddles in the pastures. Hens don’t really like being very wet. 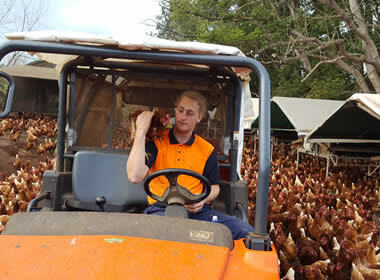 Once a week, Simon loads his truck and delivers his eggs. This means your local store has the freshest eggs possible. 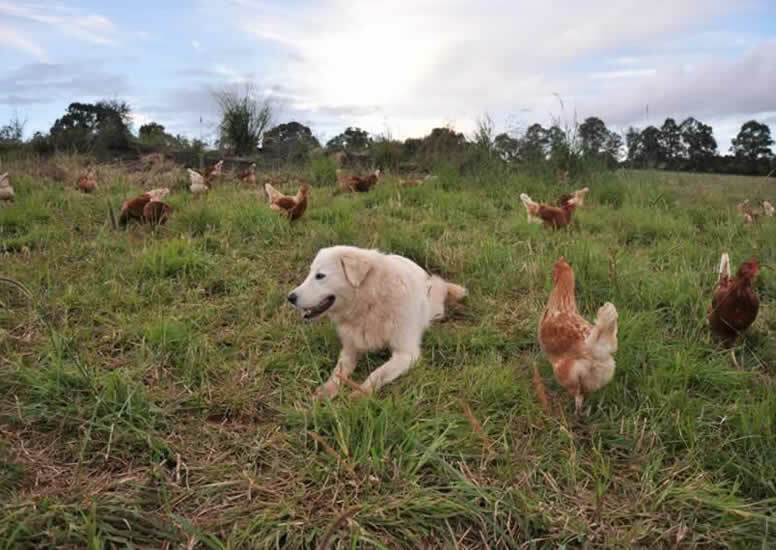 All this hard work is worth it because only real organic free range can give our eggs that very good special taste and make the difference in your health. 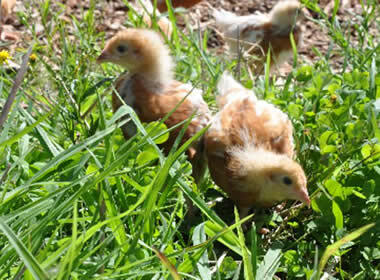 Visit the other pages of our website to read more about the farm and our certifications, find out the differences between real organic free-range farms and the “so-called free range” farms and learn how to read egg labels. We know you will also like our tips and recipes. 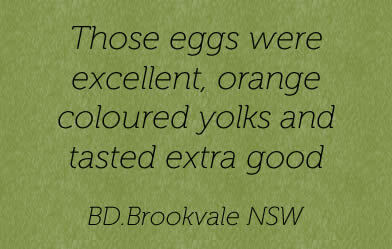 If you still have any questions about our eggs, feel free to contact Simon directly by filling in the form on the contact page, or just calling 0421 705 848. 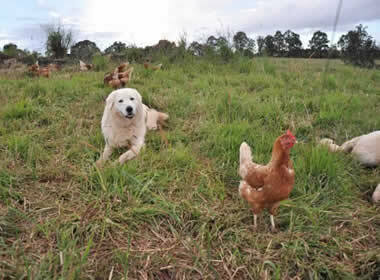 Northern NSW, South East Queensland, Sydey and Melbourne, View or Range of Stockists, Contact us if you wish to Stock our Certified Free Range Eggs.